A grand Champagne whose elegance is a reminder of the notorious secret agent.  The Spectre Limited Edition by Bollinger was created using the savoir-faire of house of Bollinger, and was created especially for the release of the film James Bond 007 Spectre. The 2009 vintage is showcased in a richly aromatic blend, characteristic of the chic Bollinger style. To provide the subtle aromas of oak and fine tannins, the wines are aged in old oak barrels. The resulting Champagne is a deep gold, with a complex and refined nose of white flowers, citrus, pear compote, toasted brioche and hazelnuts. Since 1829, Bollinger has created stylish and powerful wines, both sophisticated and complex. These wines receive constant and careful attention to achieve masterful results.